April 2017 - my name is Food. 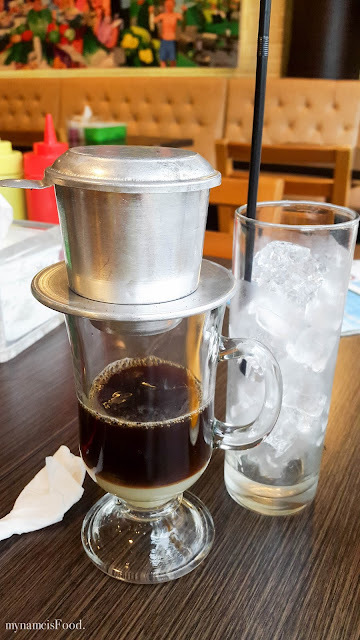 Djournal, another achievement from Ismaya Group, focusing on coffee. Their idea of the ambience and environment of the Djournal Coffee branches is that everyone considers their house as their first home, their workplace, as their second home, and here, at Djournal establishments, they want it to be known as our third home. Where we all can have a smile on our faces and have a pleasant experience through the service, baristas, coffee and ambience too. 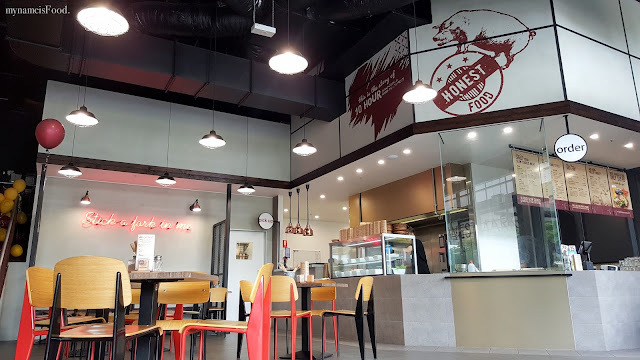 They don't only sell coffee however, with various cakes and pastries displayed on their glass display on the front counter as well as a menu, filled with not many but a sufficient amount of main courses and side dishes for those who would like to have savoury dishes, not just sweet. 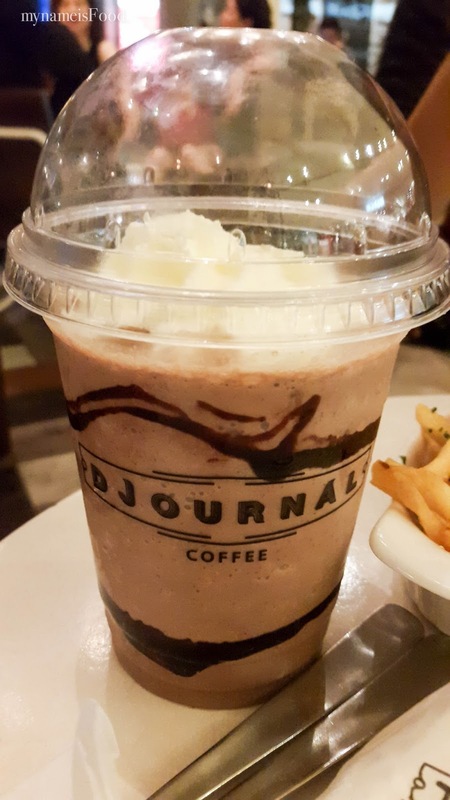 'Nutella Blast' (IDR50k ~=AUD$5) , one of their ice blended signature drinks. 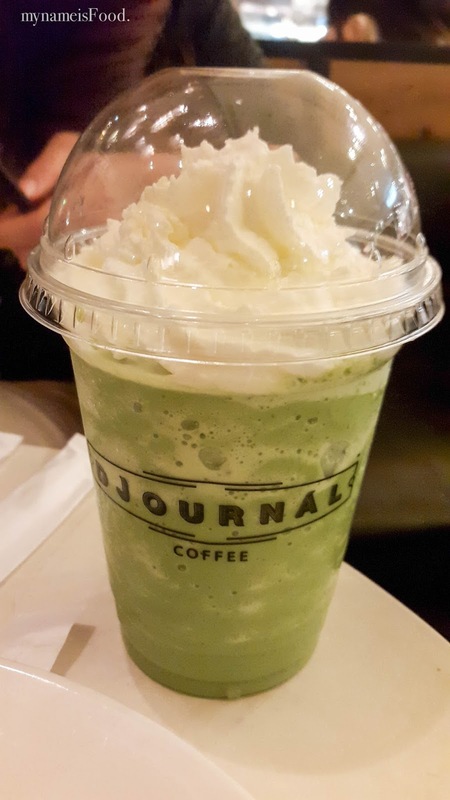 Although the overall taste and flavour of their Ice blended signatures were quite refreshing and has that hint of nutella and green tea, it was a dissapointment that they didn't even fill it up to where the plastic cup line was, and basically filled the top with cream, in which the Green Tea had the original cream size with the Nutella having a little bit of cream as requested. 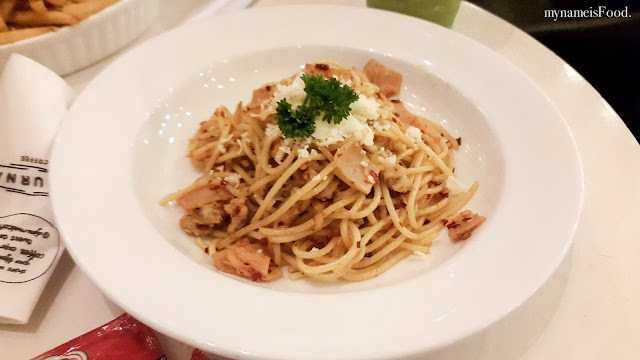 Wanting something light to share for dinner, not wanting to have something heavy, we decided to have the 'Spaghetti Aglio Oli' (IDR55k ~=AUD$5.5) with chicken ham. The portion wise was quite sufficient, especially for one. Since everyone loves chilli here, there seemed to be quite a spoonful of chilli flakes used which did make it quite hot for me, but overall, it was not too bad I have to say. The chicken ham reminded me of Chicken and Ham or Devon from Woolies or Coles. 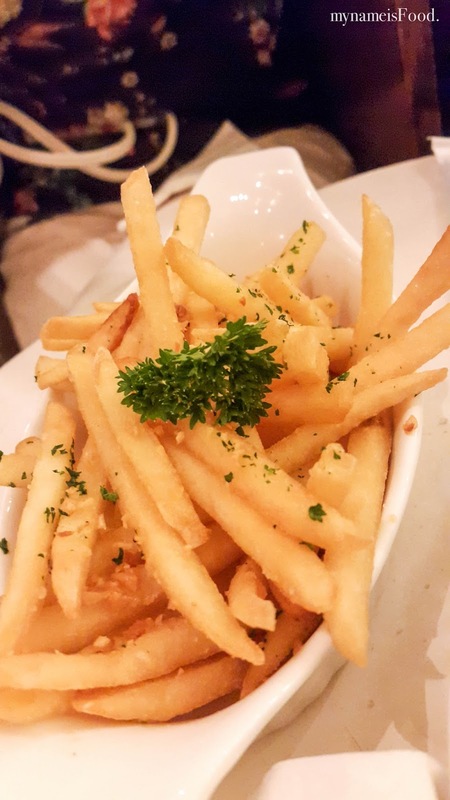 'Gilroy Garlic Fries' (IDR35k ~=AUD$3.5) was served topped with bits of parsley which I thought seemed they were lazy to add more. The garlic fries weren't too bad but since we both loved garlic, it would've been great if there were more garlic fries that was infused or even added on top of the fries. Not so much garlic salt, no, but more bits and pieces of fried garlic. 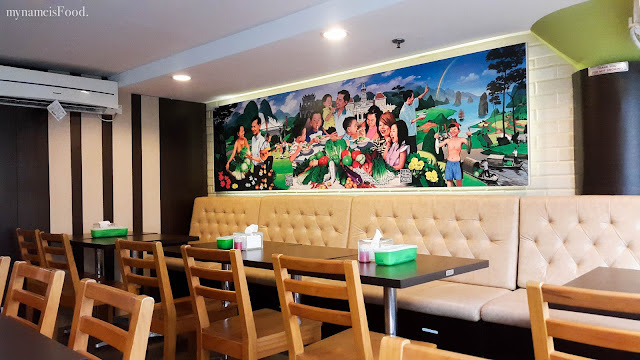 A Vietnamese restaurant at the World Trade Centre in Jakarta isn't something you would think of at the first instance. When it was raining heavily, we couldn't yet go home, or maybe we just wanted to stay out and eat. Thinking that having a big bowl of noodle soup would get us through this rainy weather quickly, we decided to try it here as it did look quite cozy but was very quiet. Note that this is a delayed post, so there may be menu or venue changes since then. 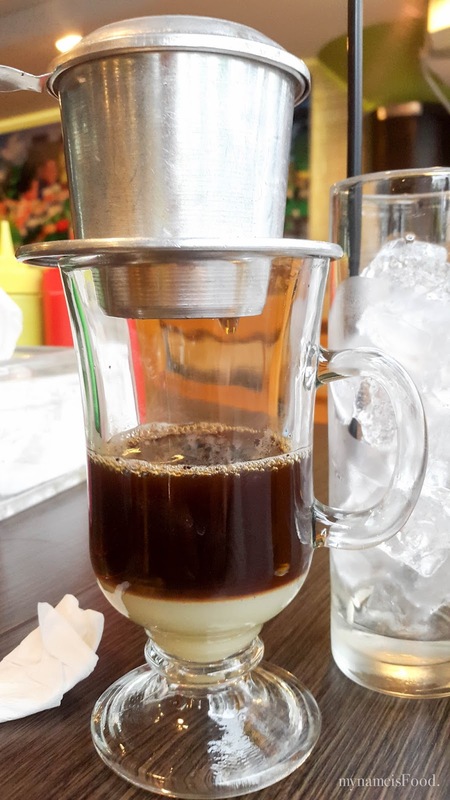 'Vietnamese Drip Coffee' (IDR25k ~=AUD$2.5) with milk and ice. 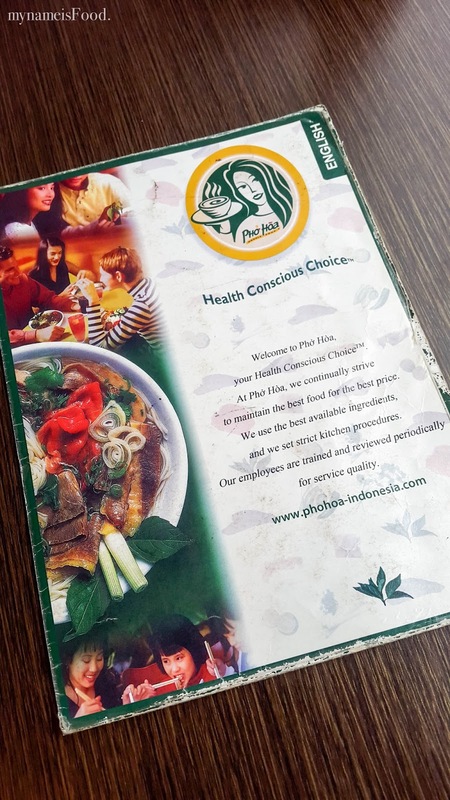 One of the most popular and traditional, as well as classic Vietnamese dish is called 'Pho' (IDR52k ~=AUD$5.2). Up size it for an extra IDR7k ~=AUD$0.7. 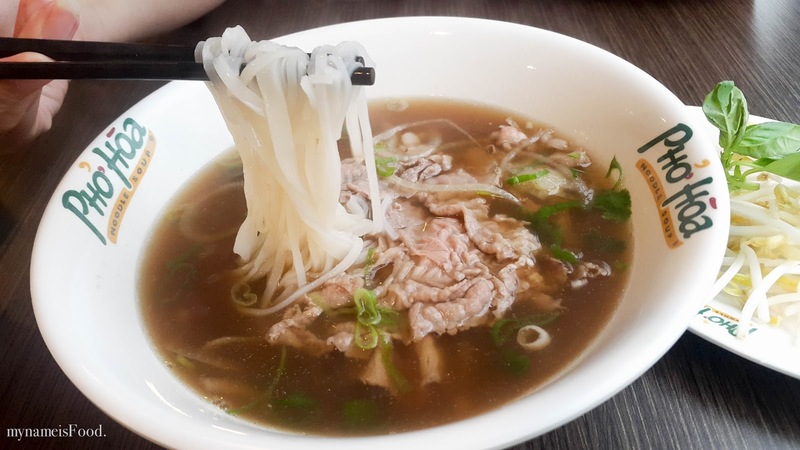 A broth full of beef goodness topped with flat rice noodles, bean sprouts, onion and your choice of meat. A very simple noodle soup dish I must say, but if you want a healthy but soothing dish, this would be one. 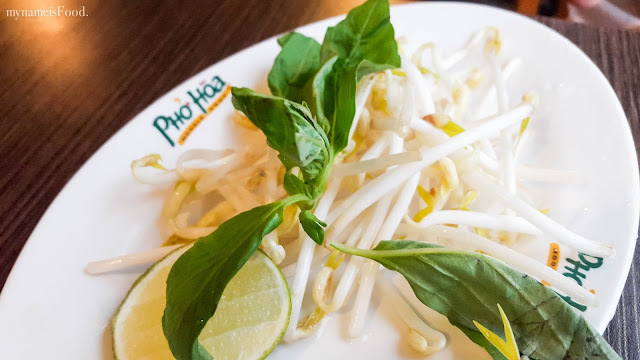 Bean sprouts, mint and a slice of lime wedge is served on a side plate for those who would like to or wouldn't like to add it in. I usually do as I feel that it adds the extra crunch as well as the mint aroma combines well with the rest of the ingredients. 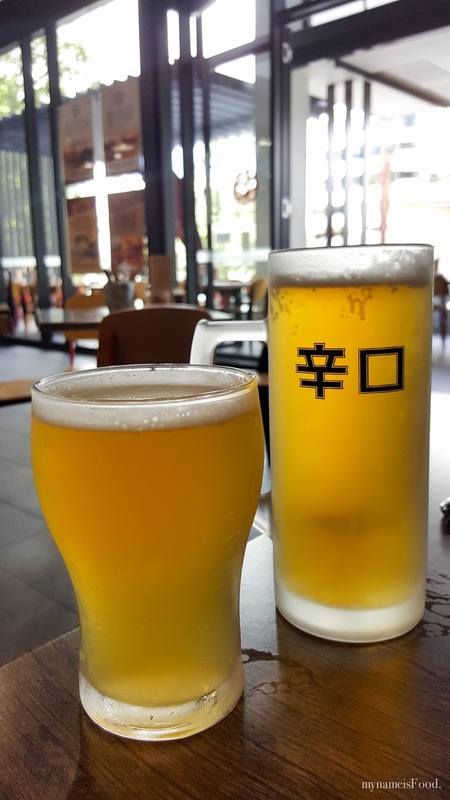 The lime helps balance the taste which usually is served with lemon and not lime. 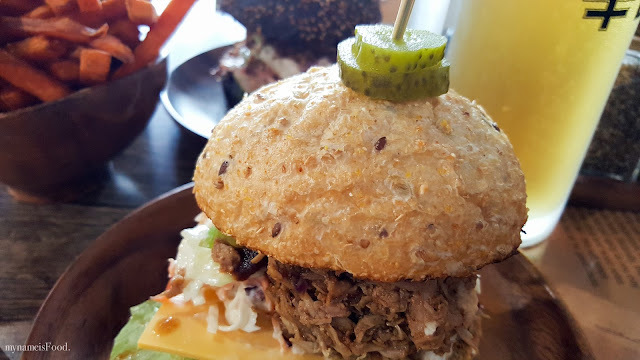 You do have an option of the meat toppings such as Steak, Brisket, Steak and Brisket, Steak and Meatballs, Brisket and Meatballs. 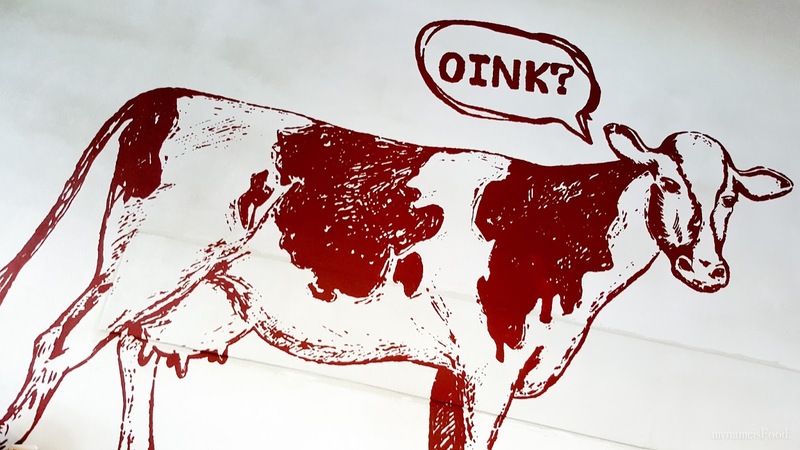 And for those who likes it with flank, which is a thin layer of fat to make the dish that extra scrumptious, you can get it with Steak and Flank, Brisket and Flank and Steak, Brisket and Flank. 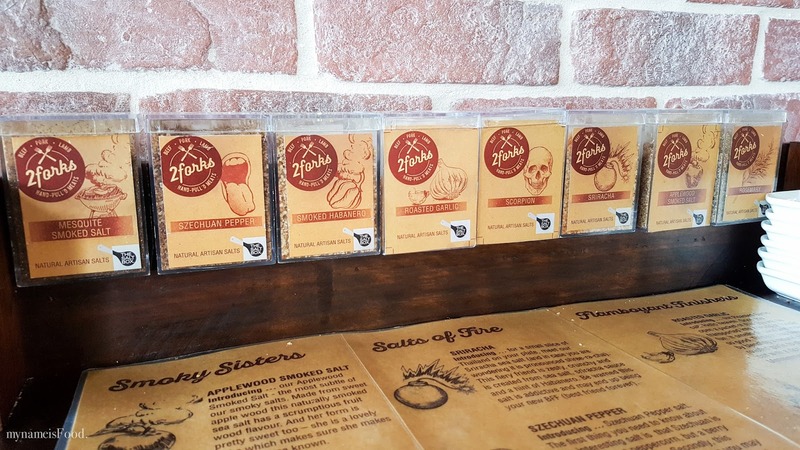 Since flank can be a bit more expensive , the regular size do increase in price (IDR56.6k ~=AUD$5.6). Tender, lean cut beef is served and placed on top. 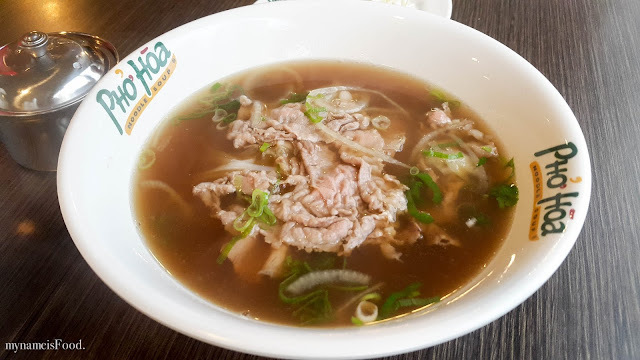 You are able to see the slight redness that the sliced beef still has but as you mix it through the soup, it will slowly cook by itself. The beef is quite different compared to the one in Brissie, as the beef is much more wrinkled and thinner here and not as much given. 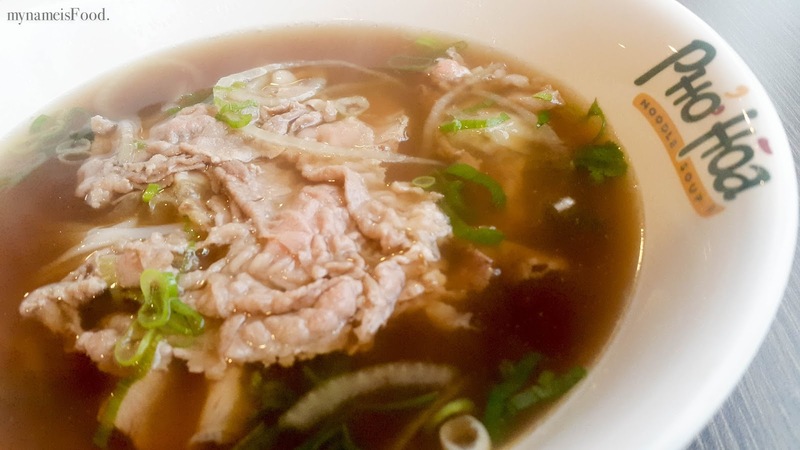 The broth however was quite good I have to say, the amount of rice noodles and onion were also sufficient. 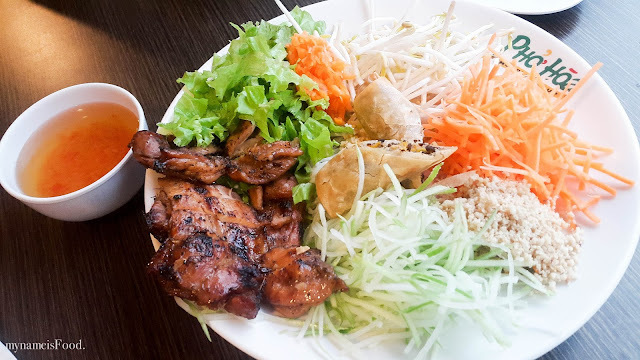 'Vermicelli Bowls' (IDR51k ~=AUD$5.1), another favourite of ours to have in Brissie. 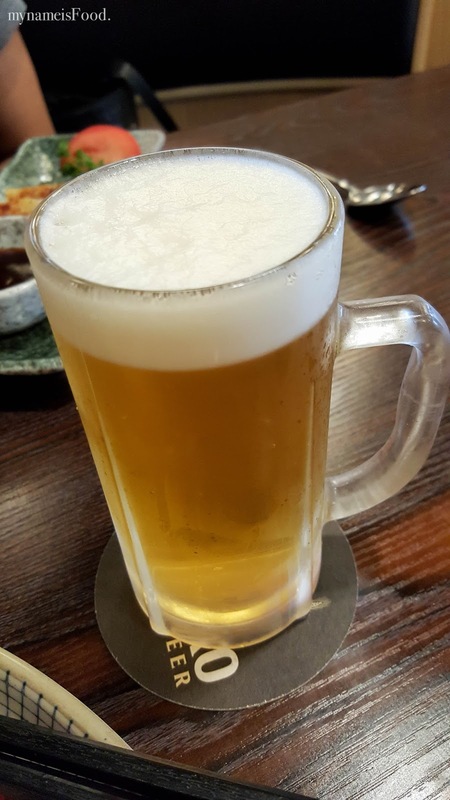 Since I haven't had it for awhile during my time here in Jakarta, I thought I might just give it a go, I may never know that it may be as good.. or not? Filled with vermicelli noodles topped with various vegetables, grilled chicken and spring roll. 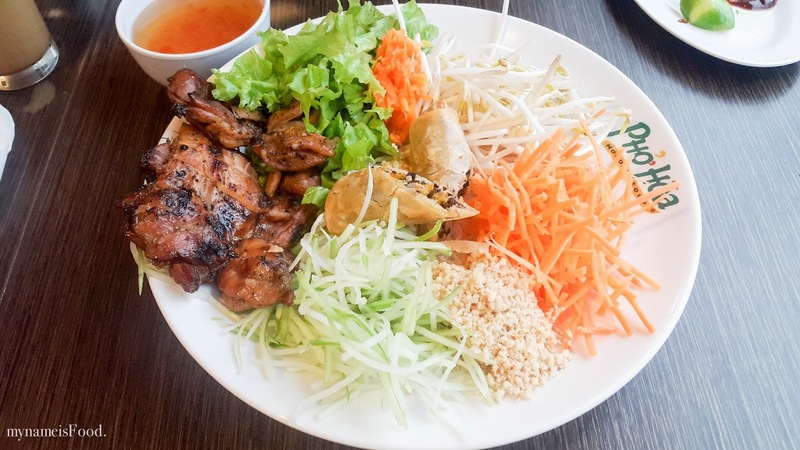 Since many restaurants here don't sell pork due to religion, the grilled chicken had quite the flavour with the charring and all. 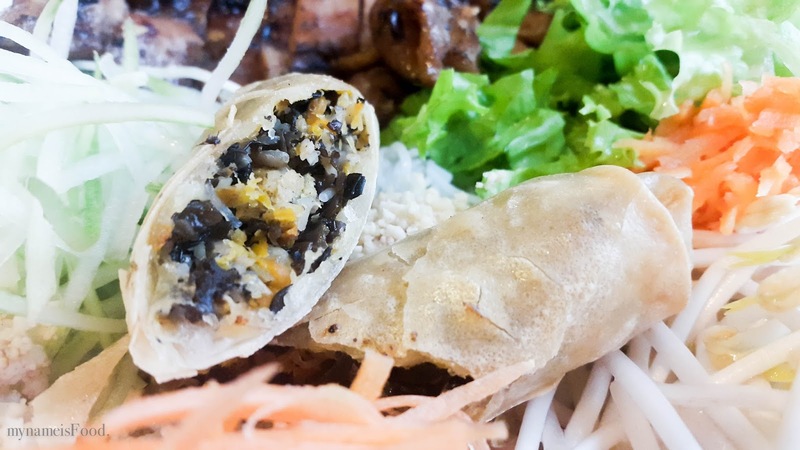 The spring roll was not bad but felt as if another would be nicer as there was only one spring roll given cut in half, placed in the middle. 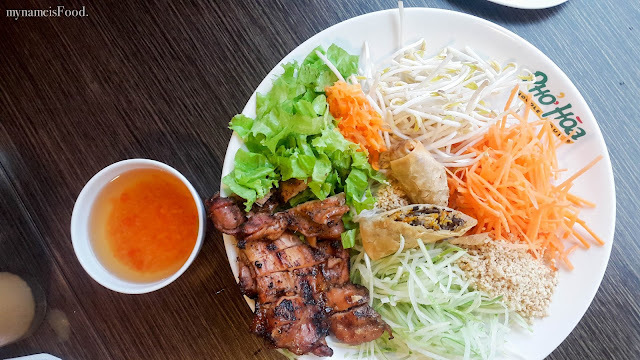 The various vegetables were thinly shredded cucumber, bean sprouts, carrots, crushed peanuts and lettuce. It does look very pretty when it first came out served on our table, do pour the fish sour sauce all over before you mix through it all. When you combine and mix through everything, all the combination of flavours do blend in well. 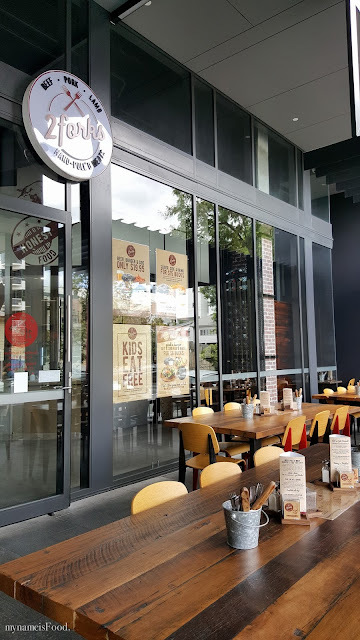 Planning to go for catch up always mean it's going to be another food adventure filled with delicious food and walking out maybe abit too full than what we would hope for. Wanting to go down to James St area, I suggested Nikuya as I thought it would be a casual and a place where everything is nearby. 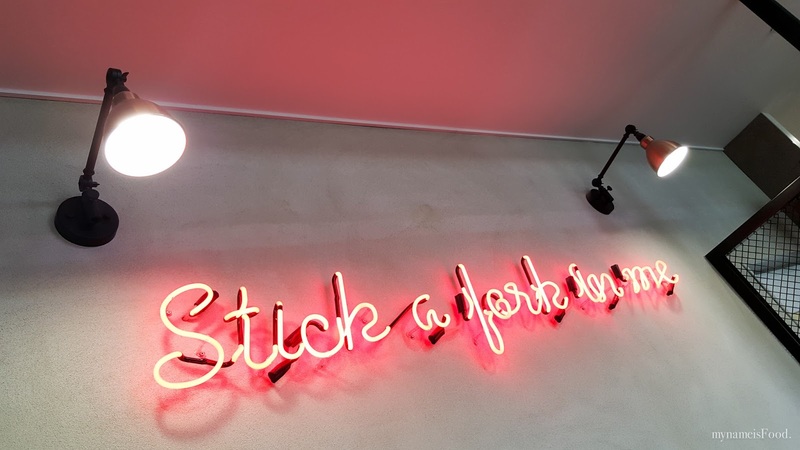 Walk less than 200m and you'll find yourself at James Street markets or Pottery barn. 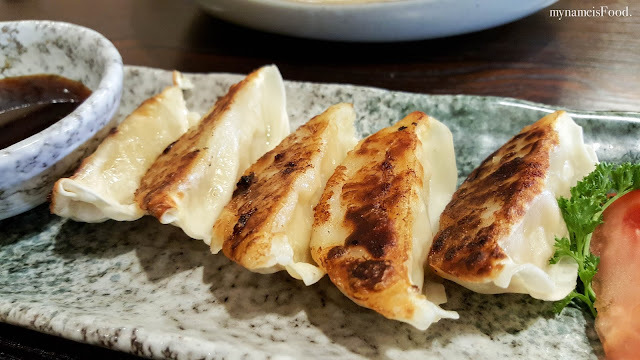 Starting our meals with 'Buta Gyoza' (AUD$4), five pieces of pan-fried Japanese pork pot-stickers served with a quarter wedge of tomato and a soy based dipping sauce. 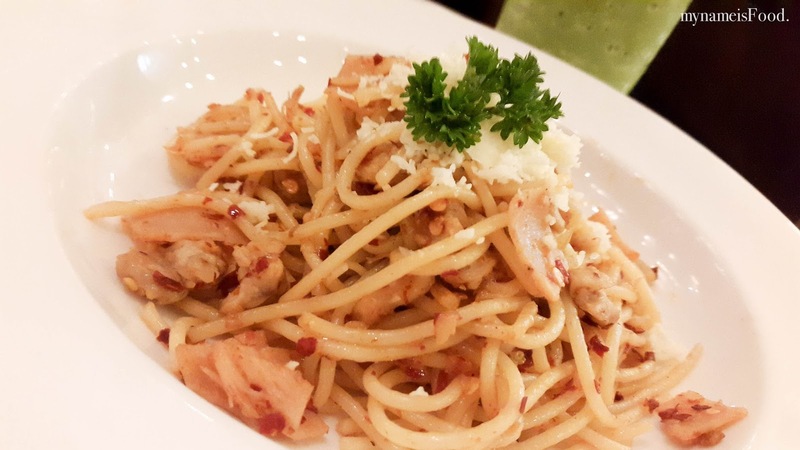 A simple and easy dish to have and to share. A slight charring on the base of the gyoza, the moist and boiled upper part maintaining the juices inside. 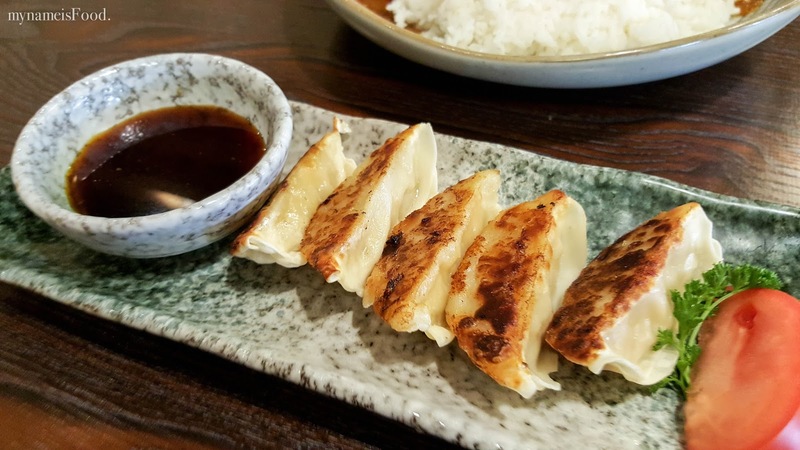 Dip it in the soy sauce if you would like a bit more of a salty taste but if not, you can just enjoy it on its own. 'Kurobuta Pork Katsu Curry' (AUD$17), panko-crumbed kurobuta pork with Japanese curry sauce. One of the main reasons why I chose it was the fact that it was Kurobuta pork, it may just be another pork for some but for others, you will be able to taste the juiciness, the fat that surrounds it and the lean meat within it. 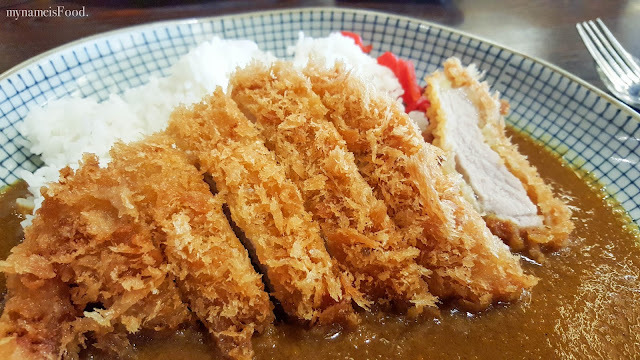 Plus, having crumbed pork using panko is always great compared to the typical bread crumbs. 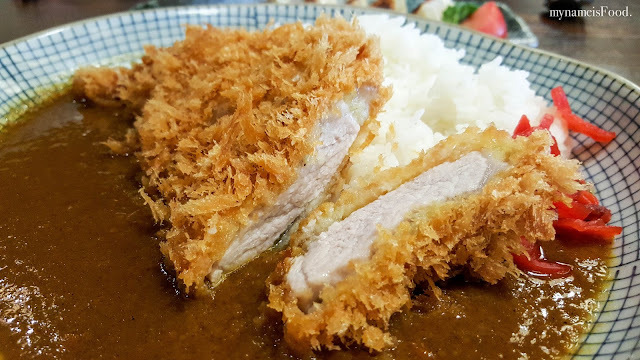 The Kurobuta pork itself was well cooked, slightly coated with the thin layer of panko allowed every bite to have that crunch. 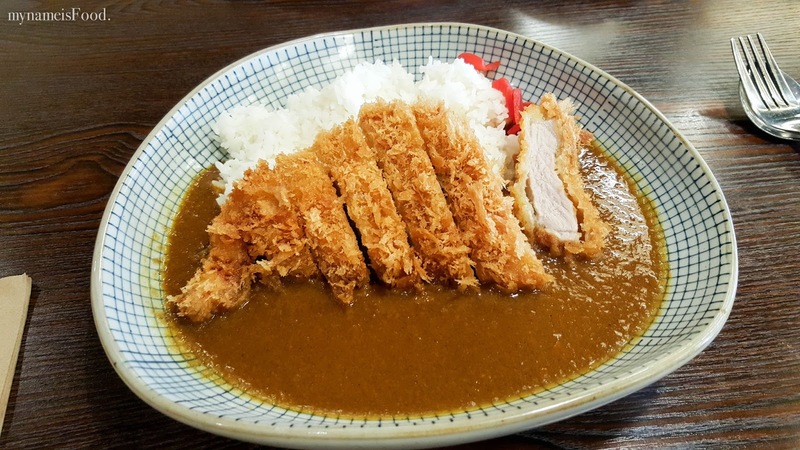 The curry sauce was mild, not as acidic or as strong as the other curry you have had. 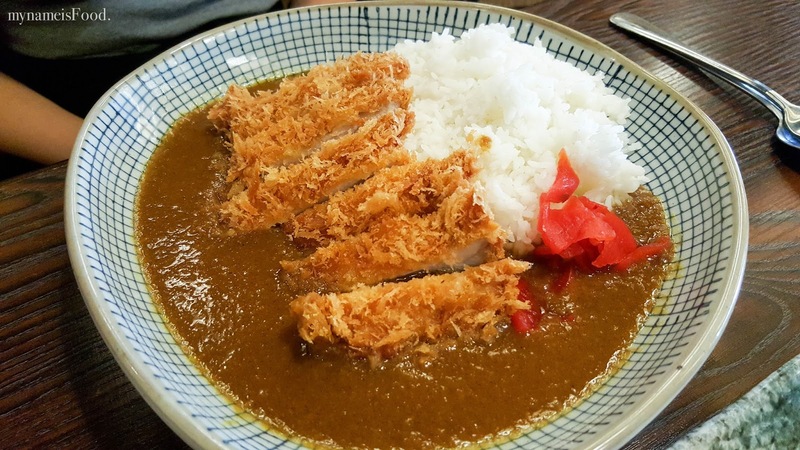 Note that the curry is just the sauce and there are no vegetables at sight or even slight pieces here and there. So what you get may be simple but will leave you with a smile on your face. 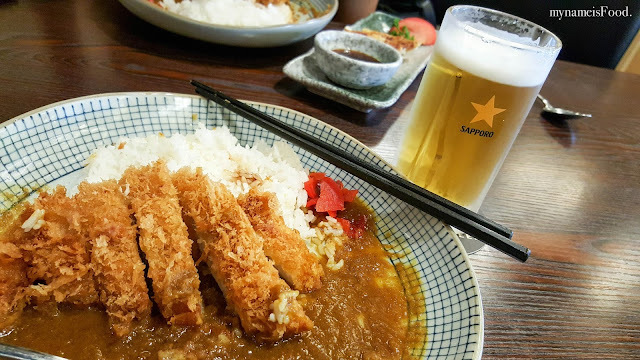 'Chicken Katsu Curry' (AUD$15), panko-crumbed chicken fillet with Japanese curry sauce is similar to the previous with the only difference being the type of meat, chicken instead of pork. 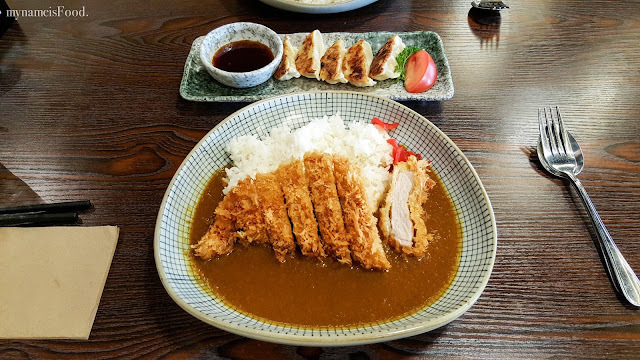 The chicken fillets were slightly smaller and thinner than the pork however the portion of the steamed rice and the curry sauce was the same. 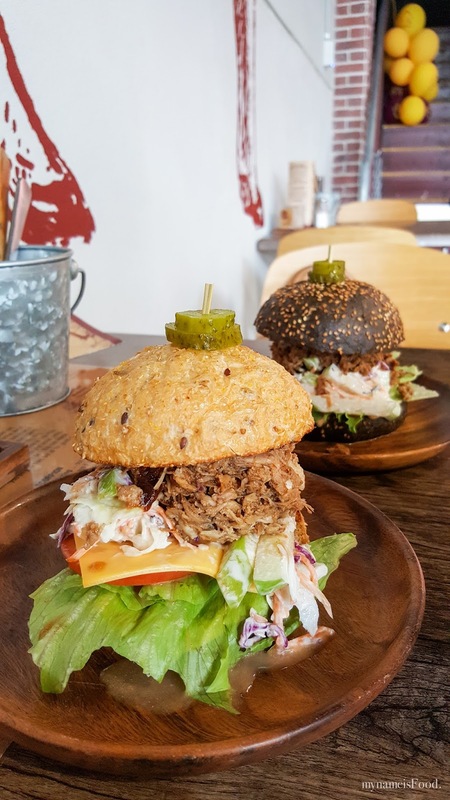 When you hear there's a place specialising in 10-hour slow-cooked hand-pulled meat, you wonder whether it would make that big of a difference compared to those other ones? 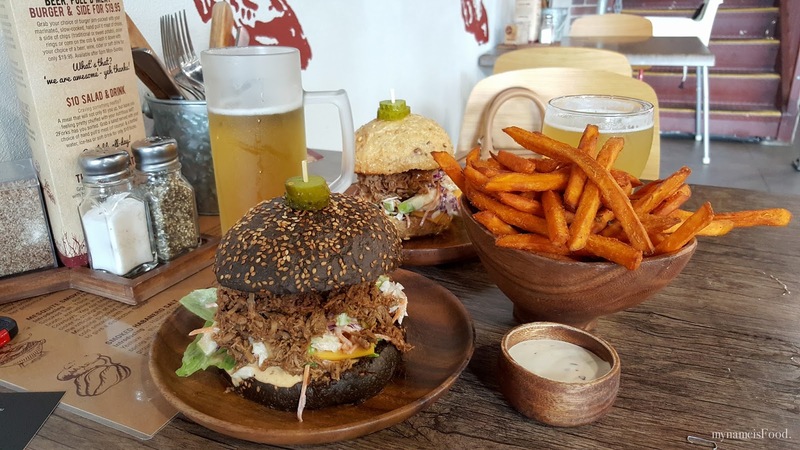 Well, at 2Forks, the meat states that it is 100% Australian and allows you to build your own burger based on their slow-cooked hand-pulled meats. Near Milton Station, they are rather quite convenient however, for those who will be driving, then street parking is key. 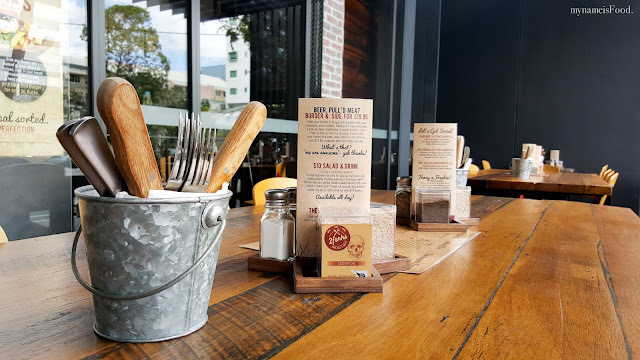 Both indoor and outdoor seatings are available with a rusted steel bucket filled with forks and knives as well as serviettes. Salt and pepper as well as various salt and seasoning available on the table. 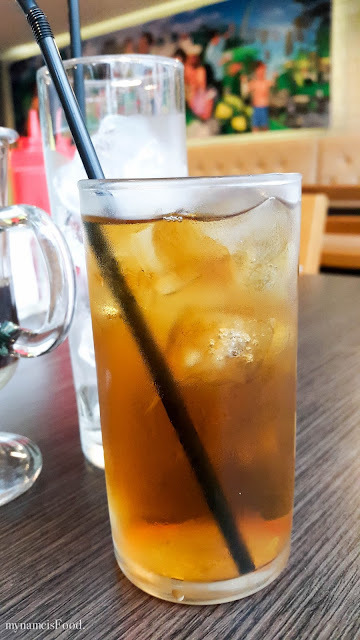 There may not be as much of a wide range of drinks choice but it is definitely sufficient and more than you may think. 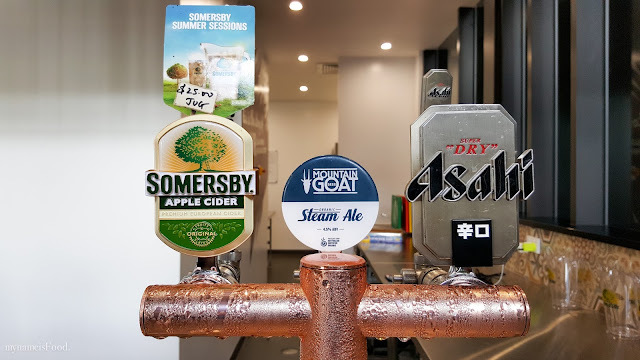 Being a licensed venue, they have Shiraz or Rose, Chardonnay or Pinot Grigio by the glass or the bottle as well as Asahi, Mountain Goat Steam Ale on tap as well as Somersby Appe Cider and Cricketers Arms Scorcher. 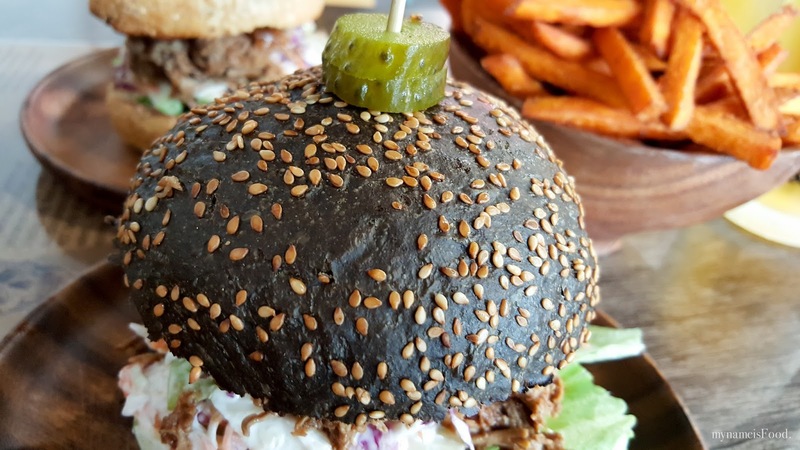 Having a look through the menu allows you to have your own pick of what style of bun you would like from Brioche to Honey roll or Black brioche to sliders. You could also choose to have it in a toasted burrito or with Nachos and even with Jasmine rice or your choice of salad. So to be honest, the choice is yours but then, it can make you more confused in what you should get. 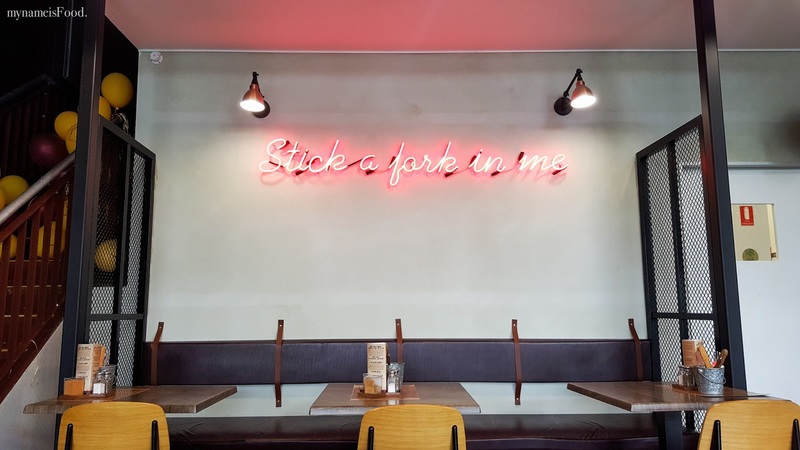 If you do want to nibble, there are a variety of sides available such as Spicy wings, corn on the cob, Panko crumbed onion rings and so on. First, choose your meat. Then, choose your style, in a bun, salad, with rice or nachos etc. 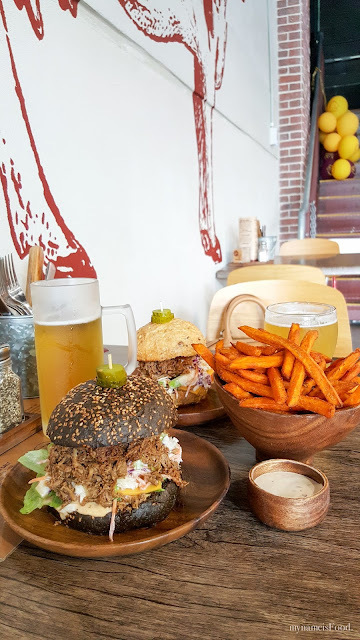 Last, add a side or even something to share such as a share platter or USA style pork ribs. 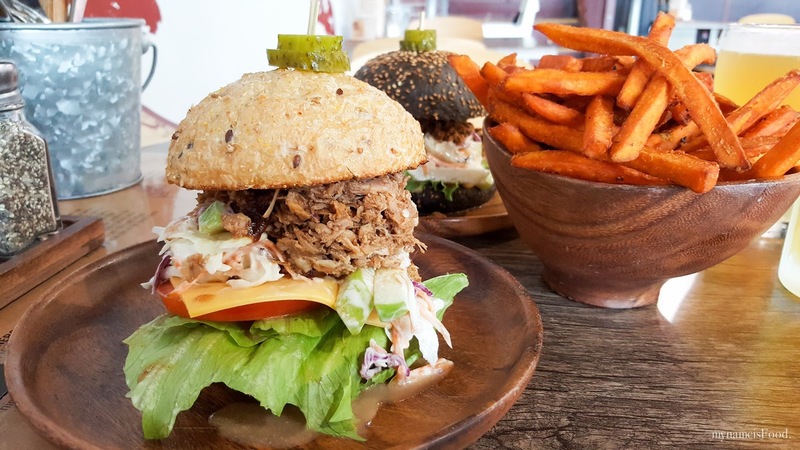 There are a few options for buns which allows everyone to choose their preferred bun to their liking. 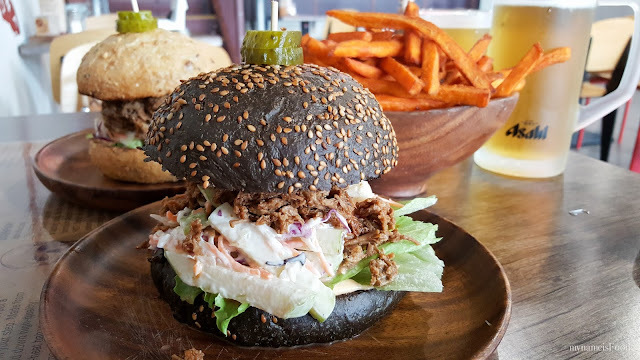 From Brioche to Black Brioche, from Multigran to Honey roll, so whichever tickles your fancy, go ahead and give it a go..
'Tequila Beef' (AUD$13.5) was something that caught our eyes, but then it may have just been the fact that it had the word, Tequila in it. 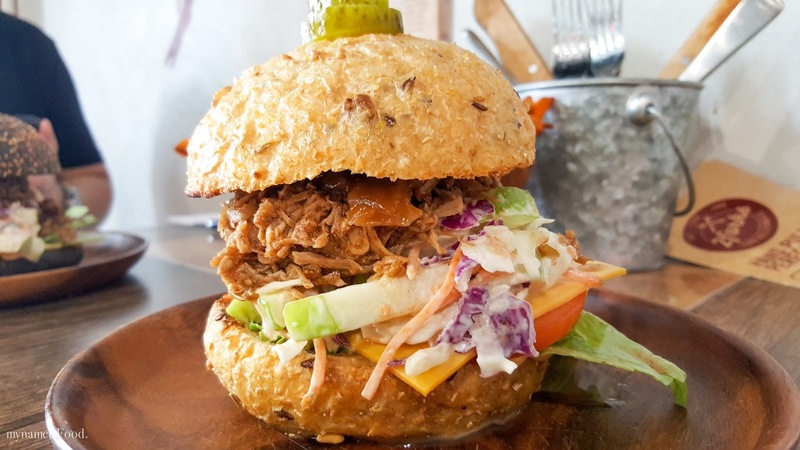 Hand pulled beef with tequila lime sauce served with a tangy green apple and radish slaw neatly stacked between a Multigrain bun. 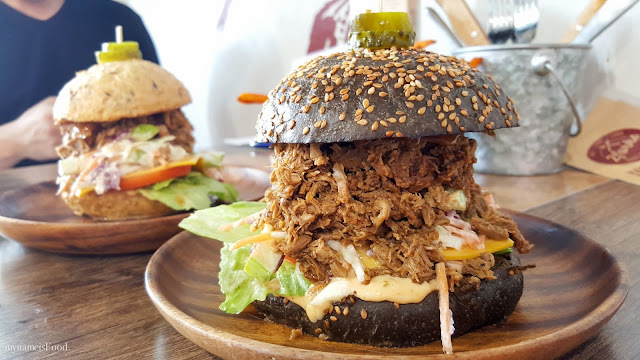 First impression was that it was stacked very neatly with each of the elements in the burger able to be seen and not hidden. I have to say that it can be quite hard when choosing an item from a menu, seeing the pretty images but then what you get doesn't look like the images at all? I guess that has happened to all of us, more than once definitely.. The multigrain bun was soft inside but was a bit dry on the outside. It was quite hard trying to grab it with two hands and trying to bite into it. 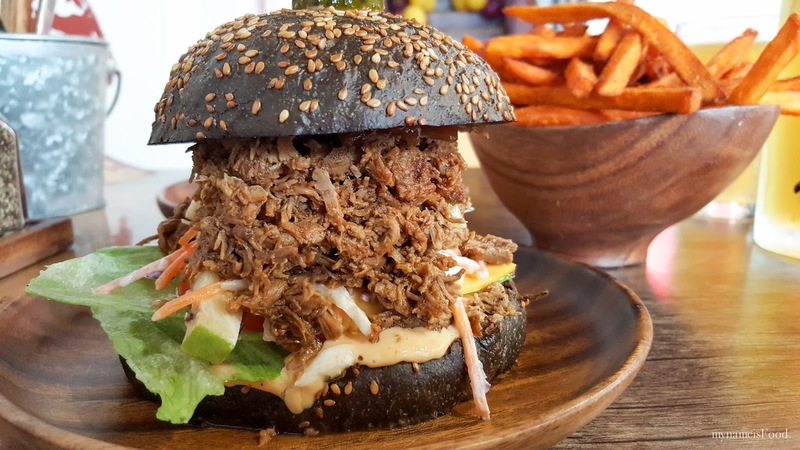 For some reason however, not sure if it was due to the slaw or the marinated meat but the juices and liquid was surrounding the burger on the wooden round plate. That, made the bottom bun quite soggy even before we started eating which was a shame but overall, the burger had nice flavours with the right elements combined into one. The crunchy texture of the tangy apple gave the burger that hint of sweetness and combined with the tomato, lettuce and cheddar cheese, it mixed well together. The tequila beef was nicely done however I could not really taste the tequila. 'Bourbon Pork' (AUD$14.5) was another that caught our interest, hand pulled pork with homemade BBQ sauce served with a tangy green apple and radish slaw in a Black brioche bun. Do note that all burgers do include lettuce, tomato, onion relish, sweet and spicy pickles as well as cheddar cheese. So yes, it is very similar to the beef burger we also bought at the same time but then, who could go wrong with Tequila and Bourbon? 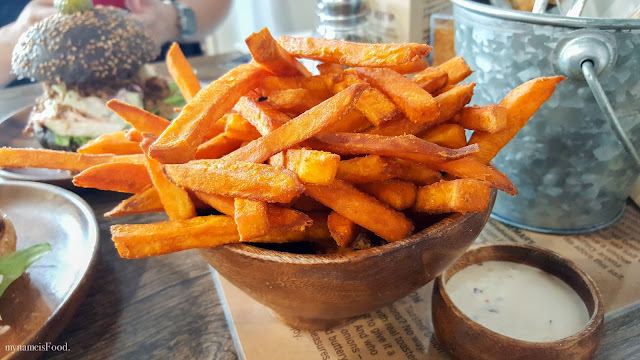 'DIY Sweet Potato Chips' (AUD$5) served with a hot chilli mayo was also ordered as we wanted to nibble on something while munching on our burgers. At first, I had forgotten that the mayo was suppose to have that kick as it seemed to be a creamy consistency. However, the perfectly fried sweet potato chips really were complemented well with the hot chilli mayo. I do have to say that it really doesn't make you feel it would be hot since it doesn't have that distinct red creamy colour. When you dip a chip in, the mayo will give that kick once it reaches your tongue, when you start chewing and tasting it together. 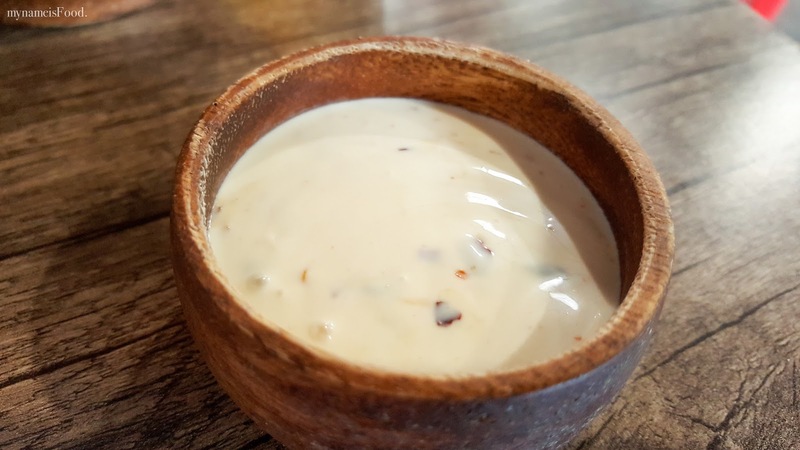 I quite liked their hot chilli mayo even if I'm not big on spicy food but I did feel that it was a great twist rather than having tomato sauce or just simple mayo on the side. For those who like their fries a certain way or maybe their meats with that extra spice or tickle, then help yourself to your own 'DIY Seasoning station' where you are able to choose and use as little or as much from a range of seasonings and salts such as Szechuan Pepper to Roasted Garlic or Applewood Smoked salt and so on. 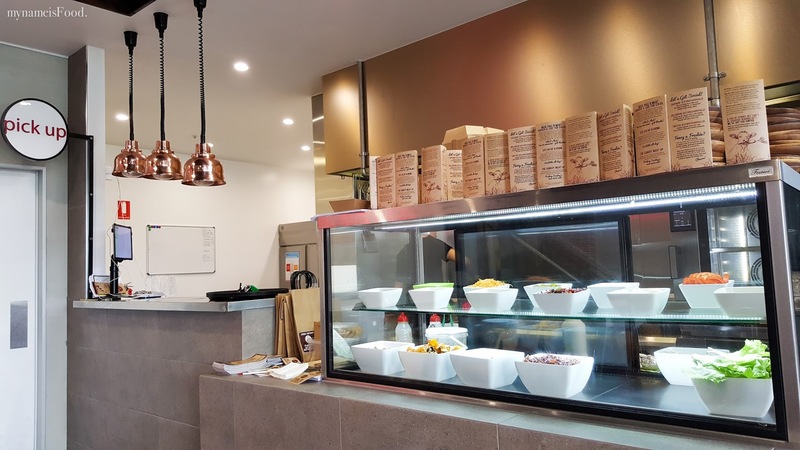 Having an open kitchen in a way that allows a full view for diners to have a glimpse at the kitchen's operation allows everyone to see the preparation to the hand-pulling of the meats to the burger making or even the fresh salads. *mynameisFood. was invited to dine as a guest by 2Forks, as always, all opinions are my own.